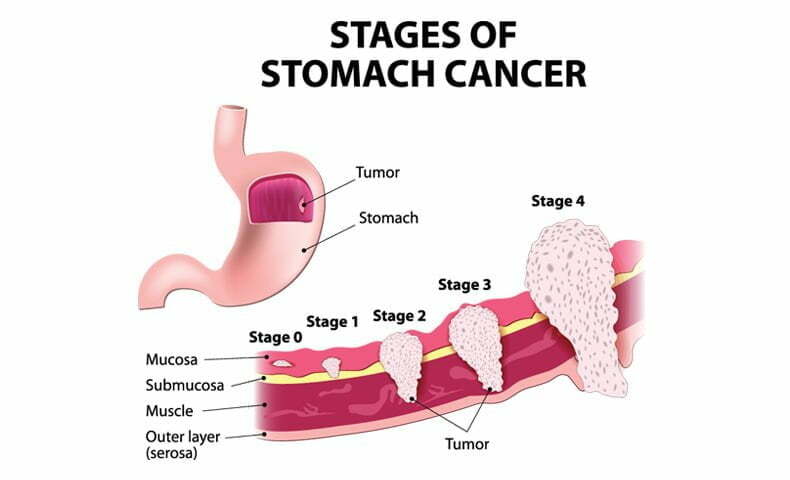 Stomach or gastric cancer usually develop from the lining of the stomach. It can start from any part of the stomach and may spread throughout the stomach and to other organs; particularly the oesophagus and small intestine. It may also spread to nearby lymph nodes and organs such as the liver, lungs, pancreas, or to distant organs such as lymph nodes above the collar bone and ovaries. For the past several decades, rates of stomach cancer appears to be declining. However, rates of oesophageal cancer (swallowing tube cancer), gastroesophageal (junction of oesophagus; and stomach) area particularly adenocarcinoma is increasing. Signs and symptoms of stomach cancer can be difficult to diagnose because most people typically don’t show symptoms in early stages of disease. Quite commonly their symptoms can be mistaken as a tummy flu or gastritis. Heartburn. This may be similar to heartburn or indigestion. Nausea and vomiting. Sometimes, the vomit may contain blood. Region: more common in regions where people tend to eat preserved foods such as Japan, Korea where foods preserved by drying, smoking, salting and pickling are commonly eaten. As the use of refrigeration for preserving foods has increased around the world, the rates of stomach cancer have declined. Eating fresh foods (Fruits and vegetables) may have a protective effect against the disease. Treatment options for stomach cancer requires comprehensive and innovative diagnostic imaging to determine appropriate treatment for each patient. Localised cancer is typically treated with surgery with chemotherapy and radiotherapy employed around the time of the surgery. Surgery will remove all of the cancer and a margin of healthy tissue including relevant lymph nodes. Radiation can be used with surgery before or after surgery depending on the situation. Radiation therapy can also be used after surgery to kill any cancer cells that might remain. In gastroesophageal junction cancer, radiation and chemotherapy are typically administered at the same time, most often before surgery. Chemotherapy can be used in different ways to treat stomach cancer. 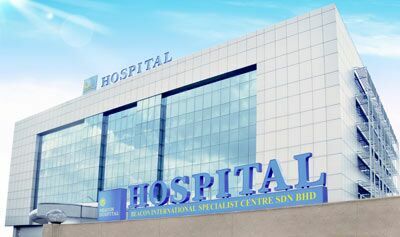 If given before surgery, this is known as neoadjuvant treatment and is used to shrink tumour so that to make surgery easier and improve the outcome of cancer. If given after surgery, this is called adjuvant treatment. Chemotherapy and radiation therapy can be given in combination and is useful for cancers that cannot be removed completely by surgery. Chemotherapy may be given as the main treatment for stomach cancer which has spread to other organs. This helps to control cancer improving symptoms and help some patients live longer. Targeted therapy Appropriate patients may be offered these treatments in combination to chemotherapy to improve the outlook for advance stomach cancer patients. Immunotherapy is currently under evaluation in clinical trials. Targeted therapy is a special type of chemotherapy that takes advantage of differences between normal cells and cancer cells. It’s sometimes used alone, but most often other cancer treatments are used with targeted therapy.